When we were recently in New York City, we made a point to hit some Museums. Specifically Art Museums. The very first stop on our trip was the Metropolitan Museum of Art. The Met. I had been here before, but this time, I saw it with new eyes. I was most drawn to the ancient art on this visit. In the past, I always sought out the sections filled with paintings by Van Gogh, Monet, Degas, Munch, O’Keefe, and the like. Yet this time was different. I could have spent hours, even days, exploring these sections filled with ancient pieces. At the first set of display cases, were examples of Ancient Greek Art. I was most drawn to a group of small figurines. 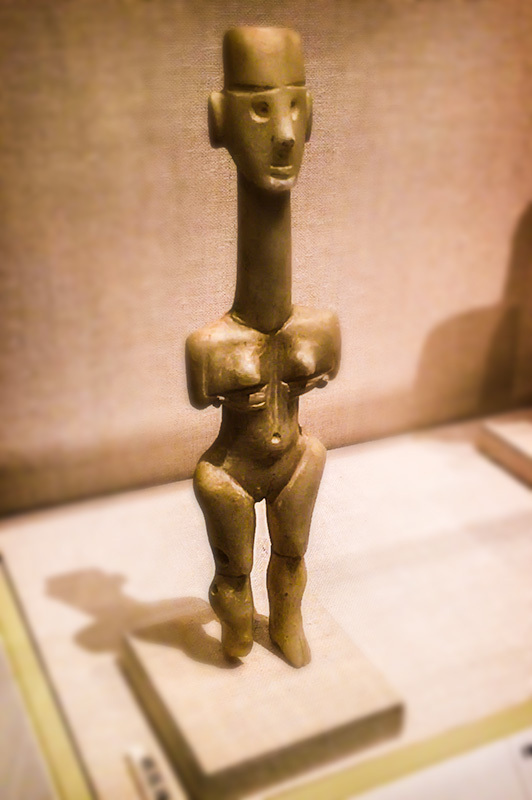 These figures, however, are highly stylized representations of the female human form, typically having a flat, geometric quality. Some scientists think they represent goddesses. They would find them in burial sites mostly. 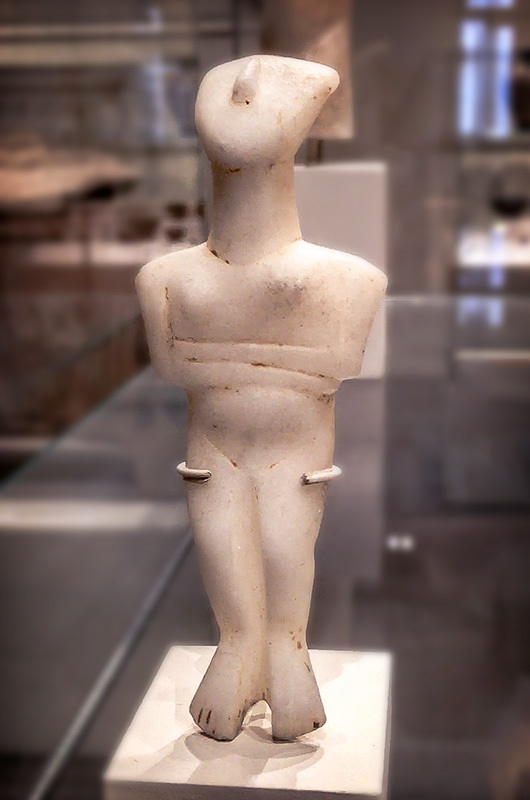 The ancient Cycladic civilization flourished in the islands of the Aegean Sea from 3300 – 1100 BCE. But those aren’t the things I think about when my nose is three inches away from this ancient sculpture. I stand and wonder. Who carved this? How long did it take them to make this? What did they look like? Was it a man or a woman? Where did they live? Was she a priestess? Was he an artist? Was this the only thing they did, day in and day out? Or was it a hobby? What did they have for breakfast that morning? Where did they live? Were they happy? Did they have a spouse, and kids? Were they funny, or nice, or scatterbrained? When did they die? A million questions rush into my mind when I see a piece such as this. I long to know everything about this person, who made this beautiful piece of art. Some 5000 years ago. I wonder too, what we will make, that will have a lasting effect. What will someone, 5000 years from now see? Will they think about us? Every piece I saw brought new questions, and ideas. And then I would come back to consciousness, and look around the museum, and realize that the rest of my own little clan, had moved on to the next exhibit, or hall… without my knowing. It was like time travel. To the past and back again, in a seamless swoosh. Now that I think of it… I’ve always loved seamless swooshes. Ever since I was a kid. And I hope I always do. Just like that, I begin to wonder if those people of the past had seamless swooshes…. and off I go again.